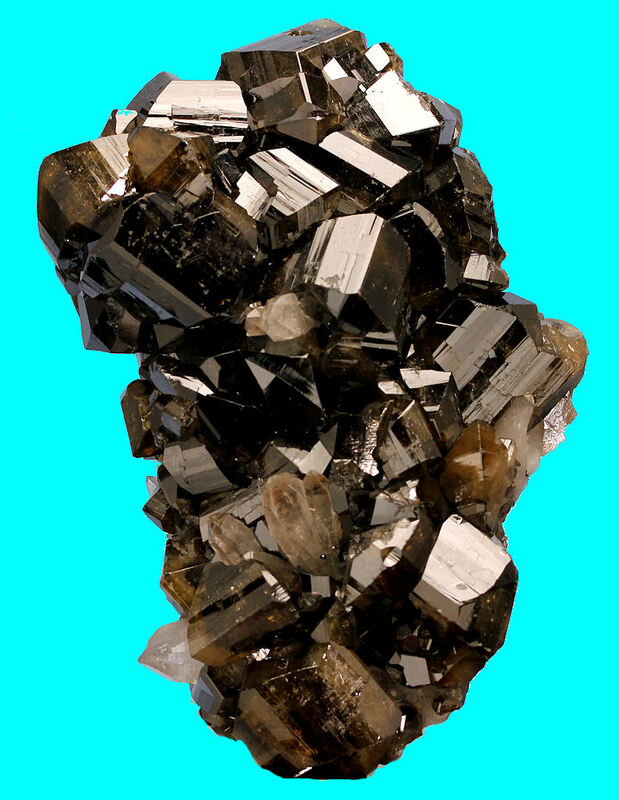 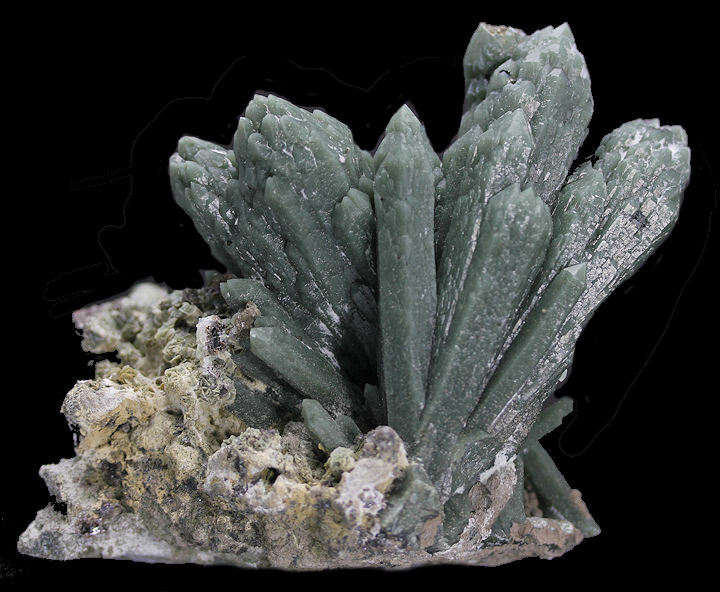 Check out the many great mineral specimens on this page. 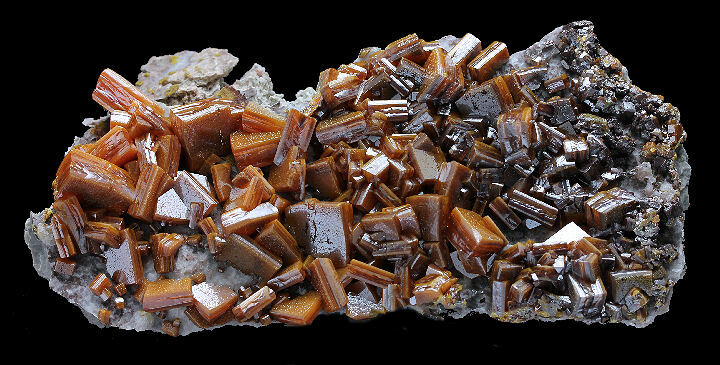 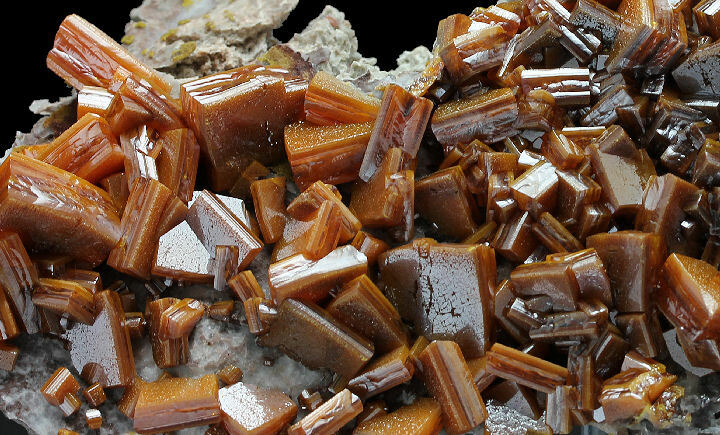 Super plate of sandwich style blocky crystals of Wulfenite (to 1.5 cm) with butterscotch to chocolate color and high luster from the famous Los Lamenos location. 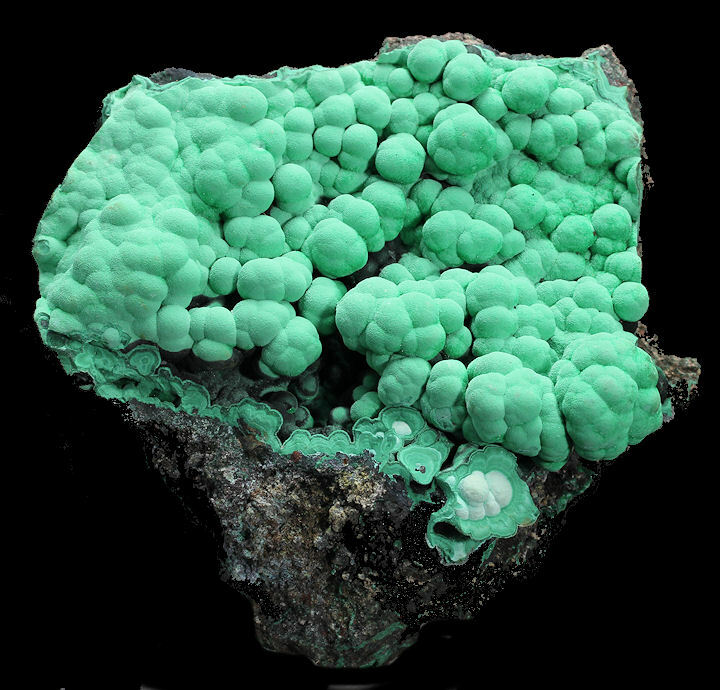 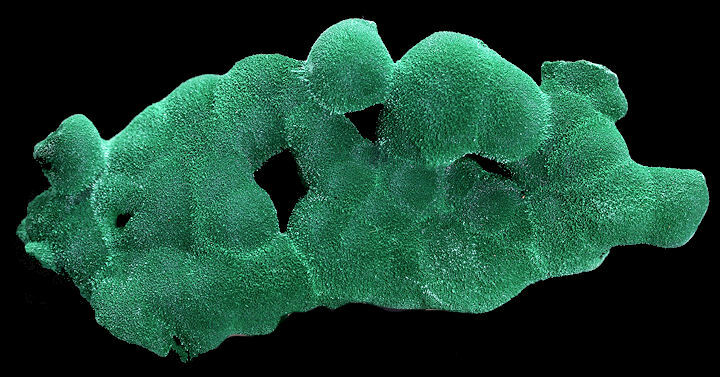 Velvety, primary Malachite - an uncommon find from the Milpillas Mine.